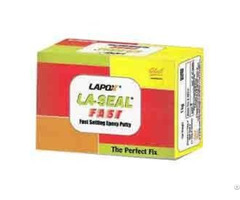 Description : Devcon Brushable Ceramic Putty is A brushable, high performance ceramic-filled epoxy for sealing, protecting and repairing surfaces subject to erosion. 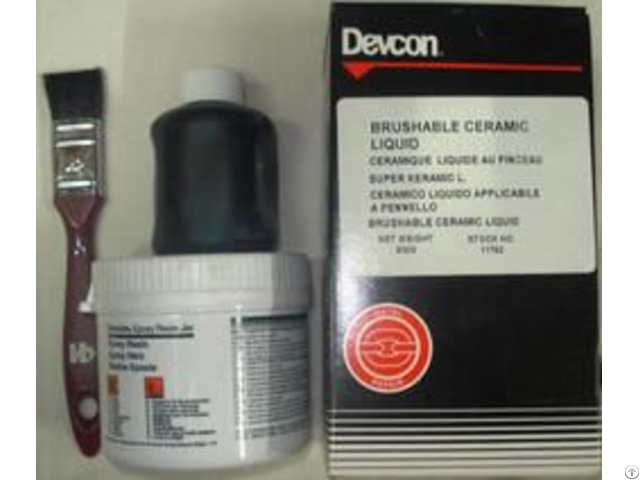 Intended Use of Devcon Brushable Ceramic : Seal and protect new equipment exposed to erosion and corrosion; protect pump casings, impeller blades, gate valves, water boxes, and fan blades; rebuild heat exchangers, tube sheets, and other water circulating equipment; top coat for providing exceptionally smooth surface to repaired surfaces. 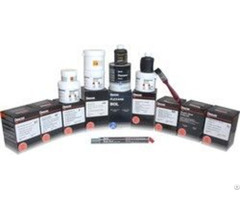 Features of Devcon Brushable Ceramic: Excellent chemical resistance, Temperature resistance to 350 Degrees Farenheight , Applies easily with short - bristle brush or roller, Low viscosity, self - leveling liquid. 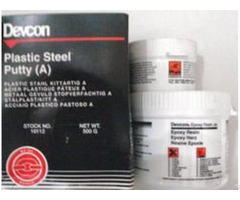 Devcon Titanium Putty, Devcon Plastic Steel Putty, Devcon Epoxy Putty, Plastic Steel Putty, Devcon Epoxy, Maintenance repair and Overhaul, INDUSTRIAL EPOXY PUTTIES, 180 Degrees Centigrade, ON LINE LEAK ARRESTOR, DEVCON, EPOXY PUTTY, BRUSHABLE CERAMIC, TITANIUM PUTTY, STEEL PUTTY, HIGH TEMPERATURE, RESISTANT, PUTTY, BELZONA 1111, BELZONA BRUSHABLE CERAMIC, BELOZONA EPOXY PUTTY, Devcon Aluminum Putty, Online Leak Arrestor, High temperature resistant leak arrestor, Marine Grade Putties, Food Grade Epoxy Putty, Devcon Plastic Steel Putty (A), Devcon Plastic Steel 5 Min Putty (SF), Devcon Titanium Putty, Devcon Brushable Ceramic Blue / Red, Devcon Wet Surface Repair Putty (UW), Devcon Wet Surface Repair Putty (UW), Devcon Aluminium Putty (F), Devcon Bronze Putty (BR), Devcon Stainless Steel Putty (ST), Devcon Flexane 80, Aquafix, Aquafix Pipe repair kit, Transformer Oil leak Sealant, Online Oil Leak Sealant, Pipe Leak Sealant, BELZONA 1111.